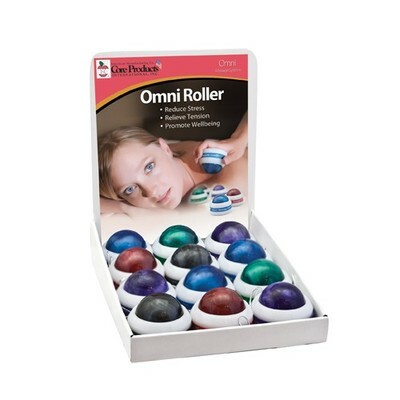 The high mobility of the “omni-directional” ball and easy-grip handle make the Omni Massage Roller a convenient and effective tool for professionals and home users alike. 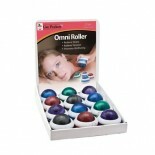 The key to the superior function of the Omni Massage Roller is its unique”omni-directional” massage ball. Knots and restrictions can be felt in the tissue–similar to driving a car over a speed bump–this massager allows you to feel what is going on in the body. With a long-lasting and durable construction, Omni Massage products can be used in the whirlpool or a soothing bathtub, as there are no internal parts to wear out or corrode. For professionals, Omni products can be used in place of fingers, hands, and elbows.